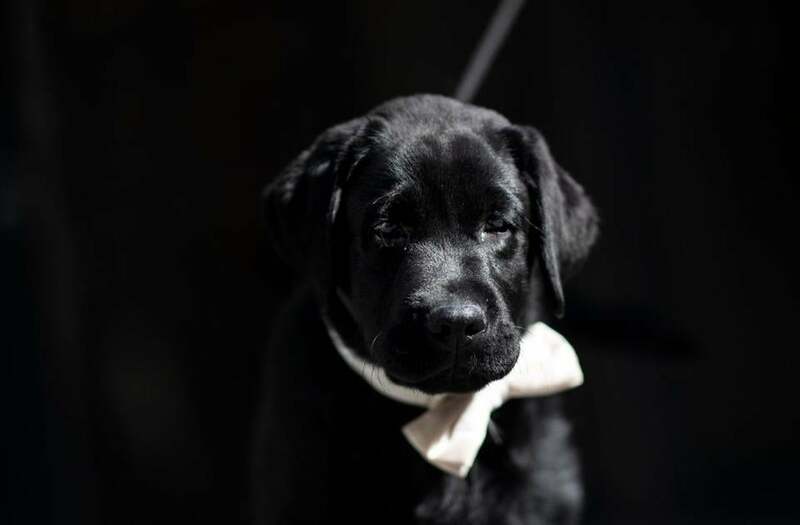 14-week-old Labrador retriever Rommy at the at the American Kennel Club&apos;s Museum of the Dog on Wednesday. 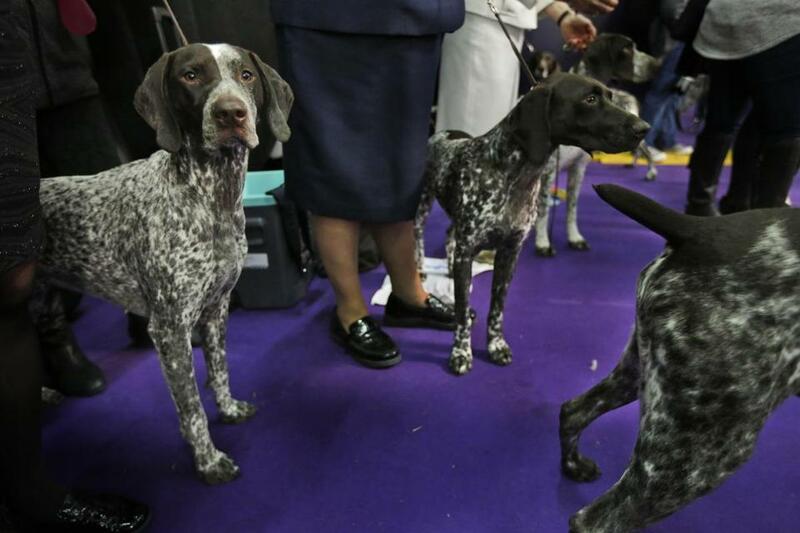 NEW YORK — Labrador retrievers aren’t letting go of their hold on U.S. dog lovers, but German shorthaired pointers are tugging on the top ranks of doggy popularity, according to new American Kennel Club data. 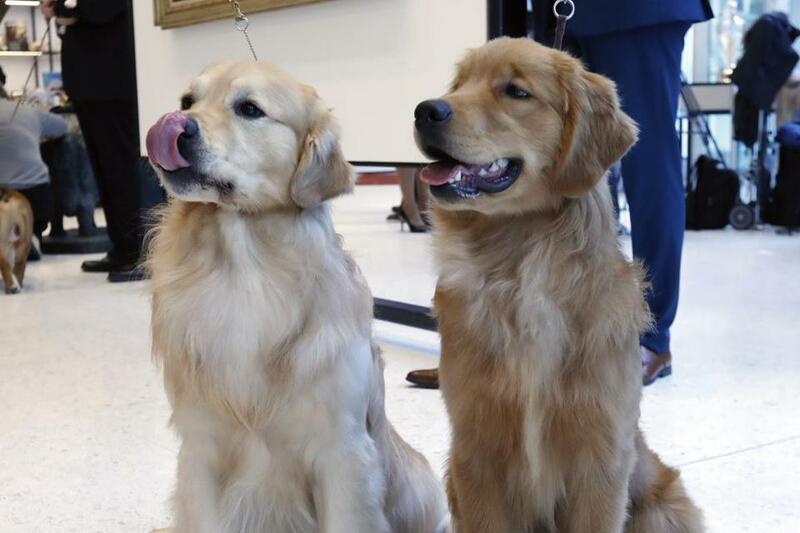 Golden retrievers Alistair, age 2 1/2, left, and Chuker, age 7 months, posed for photos at the Museum of the Dog. ‘‘I think people are learning about how fun the breed is,’’ says AKC spokeswoman Brandi Hunter. 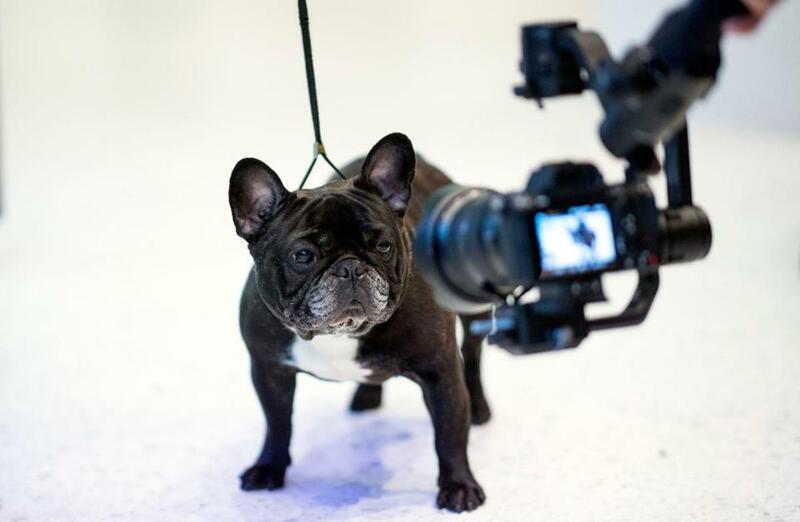 A French bulldog posed for a camera at the American Kennel Club's Museum of the Dog. Beagles, now No. 6, can boast they’re uniquely beloved. Why? ‘‘They’re a good general family dog,’’ lively, friendly, relatively low-maintenance and comfortable with children, says breeder Kevin Shupenia of Dacula, Georgia. 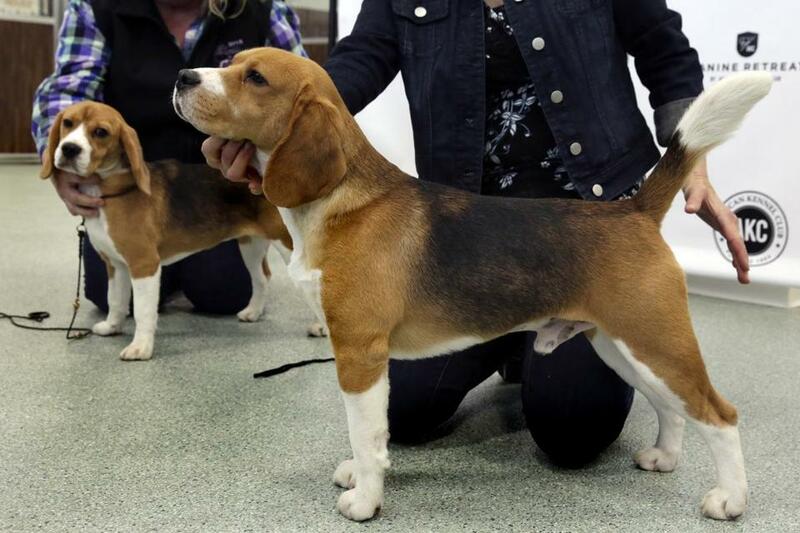 Beagles also work sniffing out contraband meat and plants at airports, detecting bedbugs in homes and doing their traditional job: hunting rabbits. ‘‘They have a sense of humor, and they’re just characters,’’ Shupenia says. Wonder where goldendoodles, puggles, or cockapoos stand? You won’t find these and other popular ‘‘designer dogs’’ among the 193 breeds recognized and ranked by the AKC. 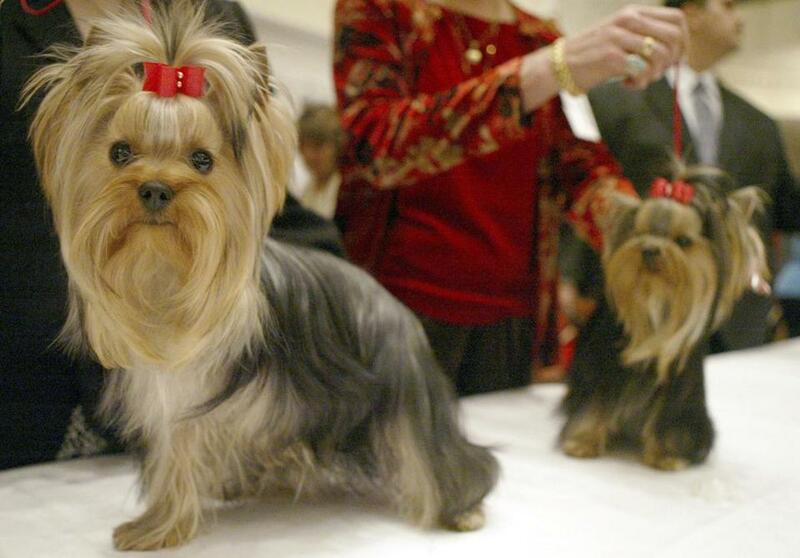 Two Yorkshire Terriers, as pictured in 2004. 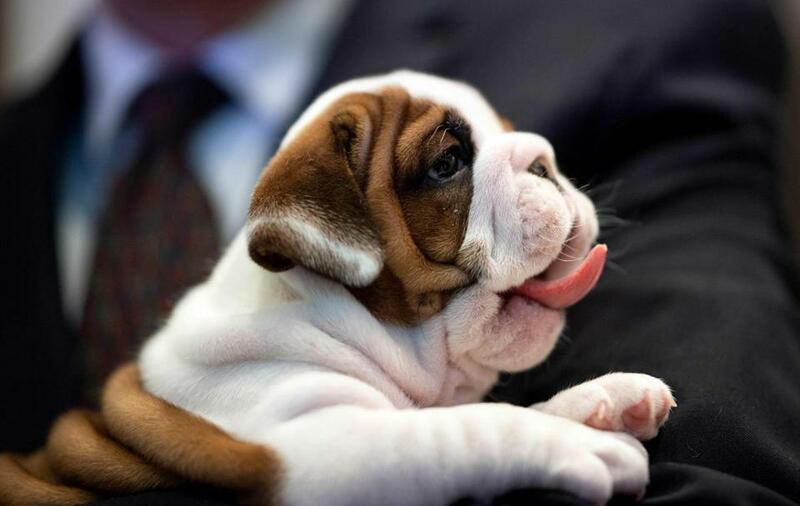 Six-week-old English bulldog Annie yawns at the American Kennel Club's Museum of the Dog.